Buying a surfboard isn't as easy as going to your local box store and buying whatever is cheapest or whatever catches your eye. There is more that goes into buying a surfboard. Here are a few tips we recommend when buying your first surfboard. The biggest mistake we see is people who ride a foam surfboard a few times, have a great time, ride a bunch of waves, and then go out and buy a shortboard. When starting off you need to make sure you have a board that has enough volume for your height, weight and ability. Volume translates to the float of your board. Without enough volume you will struggle to balance on the board, paddle, and catch waves. If you are able to get up you will need to be very precise and consistent in your pop up, stance and weight distribution in order to ride waves successfully. You will progress a lot quicker on a bigger board. If you downsize too soon, your learning curve plateaus and your wave count drops. You need to be catching a ton of waves in order to improve. There's not doubt about it, when you first start surfing you are going to wipe out more times than you would wish. You are also going to beat your board up quite a bit. Epoxy and foam boards are great for beginners. The last thing you want to do when you are learning to surf is wipe out and beat yourself to pieces on a hard, fiberglass board. It's also inevitable that you are going to beat up your board. It is better to beat up a cheaper, foam board, than a more expensive fiberglass board. It is important to make sure when you a buy a board (especially if you buy it second-hand) that is comes with the appropriate accessories. These include fins for the board and an appropriately sized leash. For beginners, a tri-fin setup should work perfectly. The leash size should match the size of the board. You'll also want a bag for your board to keep it in good condition. 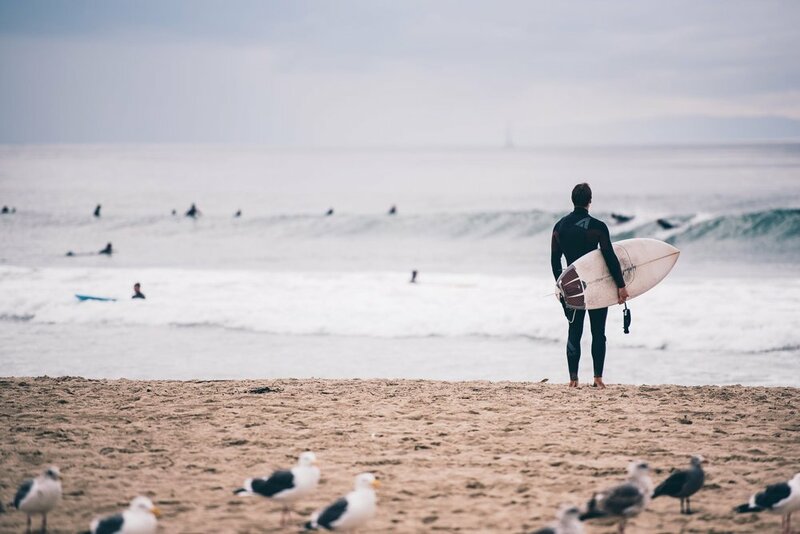 When it comes to purchasing your own surfboard, you should definitely do your research and ensure you are getting the right board for you. Don't just buy what you think is cheapest. Many times you get what you pay for in regards to surfboards, and if you buying a board second-hand and the price seems too good to be true, it probably is. Spend time browsing a variety of boards, check out other sites for their top board recommendations and ask friends and family what boards they prefer. At Isla we supply surfers with long foam boards by surfboard company, Liquid Shredder., but there a lot of great brands to choose from. Everyone has their own preference, but like with any big purchase it will pay off in the end if you do your research.